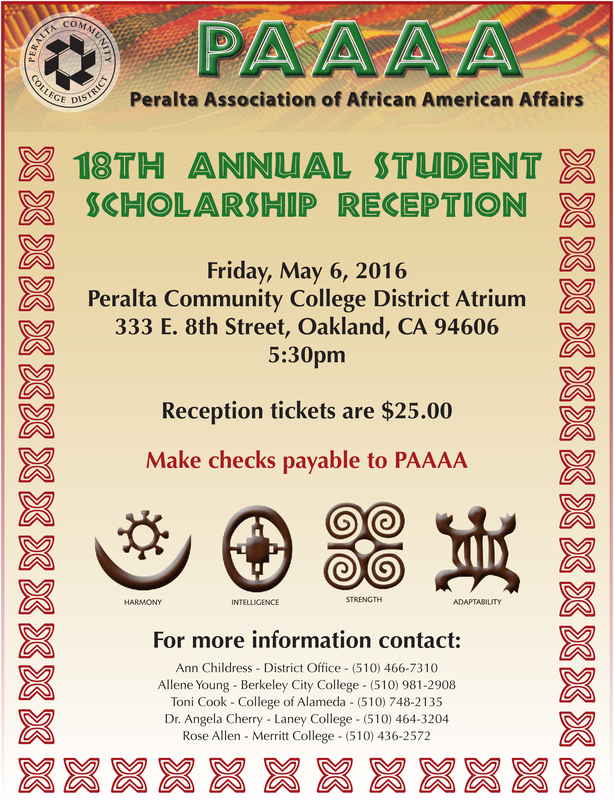 The Peralta Association of African American Affairs will host its 18th Annual Scholarship Awards Reception on Friday, May 6, at 5:30 p.m., in the atrium of the Peralta Community College District offices, 333 E. 8th Street, in Oakland. Since 1998, PAAAA has distributed over $70,000 to Peralta students who are matriculating from the community colleges to four-year institutions in California and across the country. This year, eight students from all four of the Peralta Colleges will be honored for their academic success and for their service to the community. 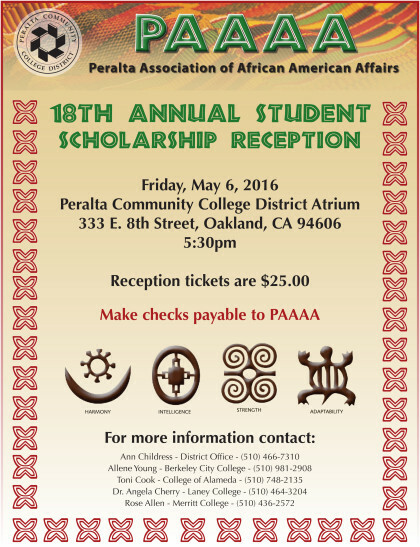 We invite and encourage you to support our 2016 scholarship recipients by attending this event. Tickets are $25.00 and can be purchased at the door. For more information please contact Dr. Herbert Kitchen at 5104667222 or hkitchen@peralta.edu.